(2017 REPRESS) Holy Grail, originally out on Saturn & unissued since its original release is back into the limelight through Artyard Limited edition Heavy Weight LP with Screen-Printed Cover and inner liner notes. As composer, bandleader, and full-time member of the Sun Ra Arkestra, Pat Patrick was a visionary musician whose singular contribution to the jazz tradition has not yet been fully recognised. 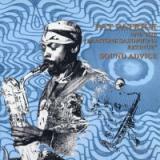 As well holding down the baritone spot in the Arkestra for 35 years, Patrick played flute and alto, composed in both jazz and popular idioms, and was a widely respected musician, playing with Duke Ellington, Eric Dolphy, Thelonious Monk and John Coltrane, with whom he appeared on Africa/Brass. But he is best known for his crucial contributions to key Sun Ra recordings including Angels and Demons at Play, Jazz in Silhouette and Nubians of Plutonia, among dozens of others. This is the companion to Disco 3000, made on the same classic Italian quartet tour with John Gilmore, Michael Ray (trumpet) and the minimal but perfect Luqman Ali (drums). Ra himself plays piano and electronic keyboards, including the mysterious Crumar Mainman, which Ra describes as like a piano, organ, clavichord, cello, violin and brass instruments and which also, importantly, has a facility for pre-programmed bass-lines and electronic percussion, which Ra uses constantly and to great effect in this small ensemble setting and seldom, if ever, elsewhere. The best of this collection (most of CD1) is luminous: very electronic, often rhythmical and melodic, always economical and making every sound count. These tracks are like no other jazz ensemble and, although recognisable as Ra - who else could think of, and then get away with, this - unlike any other Ra ensemble either. Ra makes the machines do amazing, visionary things while the band exercises restraint, remaining always in focus. In between, there are piano, saxophone, trumpet and drum vignettes, fresh and perfectly judged; this real was a fine band. This places the original vinyl release (and related releases, Sound Mirror and Disco 3000) back into the context of the concerts, from which they were drawn. An important addition to the Sun Ra canon, since it is a rare document of an unusual Ra project that produced three classic late 70s LPs. Beautifully packaged and well annotated. "The album's one of Ra's greatest from the 70s -- recorded in Italy in 1978, and featuring some incredibly otherworldly keyboards that are some of his most enigmatic on record! Original tracks from the album include "Disco 3000", an incredible workout on synthesizer, with a tiny bit of drum machine, a little "Space Is The Place" breakdown, and all of the wild sound you'd expect from a Sun Ra album -- plus more long tracks -- the sweetly soulful "Friendly Galaxy", a great soul jazz number, and "Dance Of The Cosmo Aliens", which has spooky organ, frenetic bass, and somber percussion"
Hidden fire from the Ra archives! 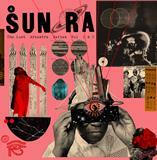 A double 10" set featuring Sun Ra recordings from the outer limits and the underground. Initially released on2 seperate 10"s back in 2010/13 respectively and both quickly became collectors items. 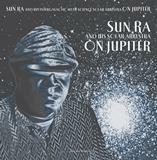 Don't miss them this time around..
A mixture of live recording and studio post-production, 'On Jupiter' sounds unique to any other album Sun Ra made. The arkestra reflects a disco pulse right back on itself, and delivers one of the most cohesive albums of their career. 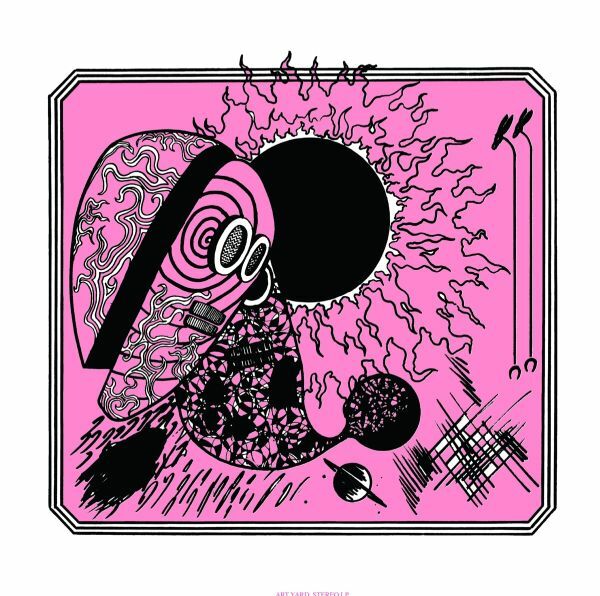 The title track is a masterpiece of gentle atonal harmony, while 'UFO' pushes along at a cracking disco-ish pace with fierce brass and spacey dub effects. This a timeless Ra classic. 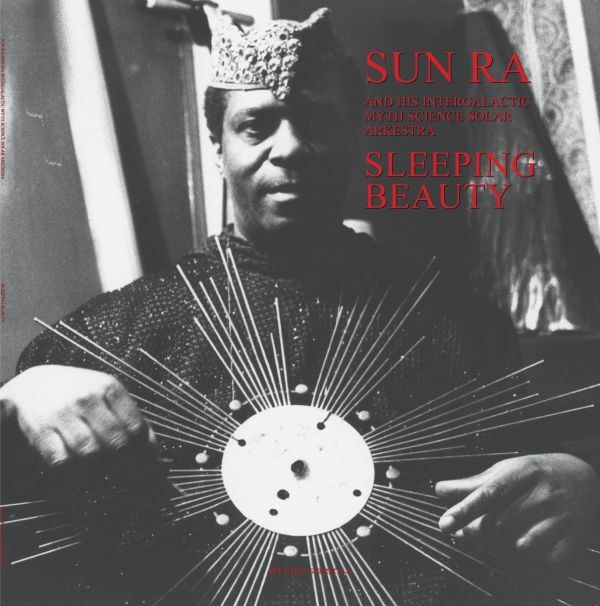 (2017 REPRESS/REMASTERED) One of the more delicate recordings of Sun Ra's 28-strong Arkestra, 'Sleeping Beauty' drifts in on a cloud of cosmic dust, sounding unlike anything before or after. 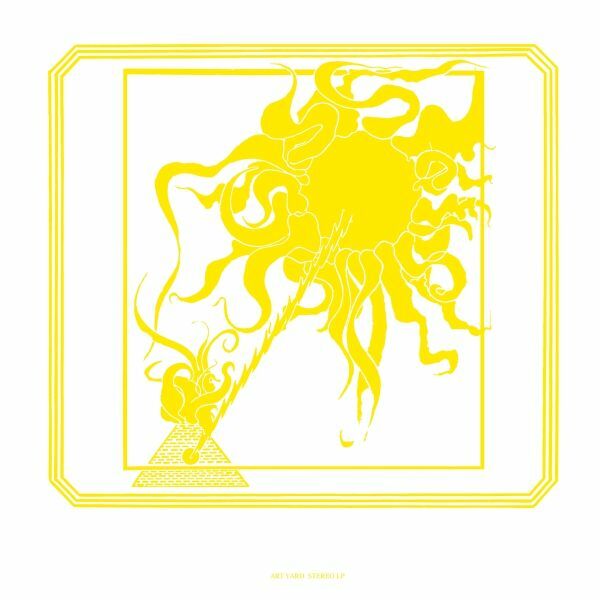 With drummer Luqman Ali keeping the narcotic funk, but with dreamy solos from other key Arkestra players like John Gilmore, Michael Ray, and Marshall Allen, no Sun Ra collection is complete without this LP. Inspired space-age lullaby music.